One day, it dawns on you: the new roof that you put on all of those years ago is not looking so new anymore. In fact, storms and sunshine have left their mark on it, and you start to wonder if you need to look into replacing your roof. How can you tell if your roof is just a little worn or if you actually need to consider a roof replacement? Your roof has a natural lifespan, and if it is an asphalt shingle roof, that lifespan is approximately 20 to 30 years. Around the 20 year mark, you will likely notice that some of your shingles are starting to loosen and that others might be cracked, worn, and curling. If so, make sure that you check your roof thoroughly and start to make a plan to determine when you’ll be able to replace it. According to Angie’s List, “if the roof was installed over another layer or several layers and it is older than 20 years, chances are you need a new roof.” Other factors such as poor roof ventilation or backed-up gutters can damage your roof and accelerate the aging process. Be aware of whether or not these factors have impacted your roof, and if you can, add structures that can stop these processes. For instance, adding a gutter cover or gutter heating can stop water and ice from backing up onto your roof, loosening shingles, and generally causing damage that ages your roof. While you don’t need to get a new roof to keep up with the Joneses, if the Joneses’ roof was replaced at the same time as yours, this could be a sign that yours will be next. Many homes in housing developments need to replace their roofs at around the same time. This is a chance to talk with your neighbors about roofing contractors, materials, and colors as well. One sign of roof wear is the bald patch on your shingles. Over time, the granules that make up your asphalt shingles start to loosen. They gradually move down the roof and into the gutters, until you have gutters that have granules accumulating in them. This also leaves potential bald spots on your roof. If you notice that your shingles are getting bald and patchy, they are no longer protecting your roof decking and your home as well as they used to, and it is time to consider a roof replacement. If you notice that a lot of the shingles are peeling or curling, you probably have one to five years left on your roof. Curling shingles have been damaged by the years of sunshine and rain, and they are starting to warp. They could let water in and onto the roof deck if you’re not careful. The wind can be unkind to your roof. Over time, it blows on your shingles, and they can start to shift and crack. If you notice that one or two shingles are cracked, that is not a big problem. However, when many of them start to crack, they could come off, and this could lead to other problems such as roof leaks. When your roof has been through a storm, take a close look at the structure. There may just be small branches on the roof. However, if it’s been punctured a number of times by larger branches, make sure that you can repair those holes, or you may need to replace the roof if it is particularly damaged. A roof is supposed to slope down toward the ground, but it is not supposed to rise up and down as it goes. If your roof looks more like ocean waves or a series of puddles, it’s beyond time to get it checked out by a professional. This could mean that the roof decking below is having serious problems, which could be a structural issue for your home. Image alone is not a reason to replace a roof. If your roof has some bald patches, some loose shingles, and streaks of algae, each reason alone might not be the cause of a roof replacement. However, if there are multiple problems occurring at the same time, overall these could lead to a need for a roof replacement. As you think about installing a new roof, you know that part of your decision involves materials. What kind of roofing will you choose, and how long will that material last? Your other decision involves the labor that goes into the roof installation. You’ll need to consider the reputation of your contractor and their ability to do the work well. At Harry Helmet, we have a warranty on both materials and installation, so that you don’t need to worry about whether or not we will install your roof properly and what might happen if there is a problem. You know that our warranty will cover it. When you’ve installed your new roof, you need to make sure that it provides adequate protection so that it will last for a long time. 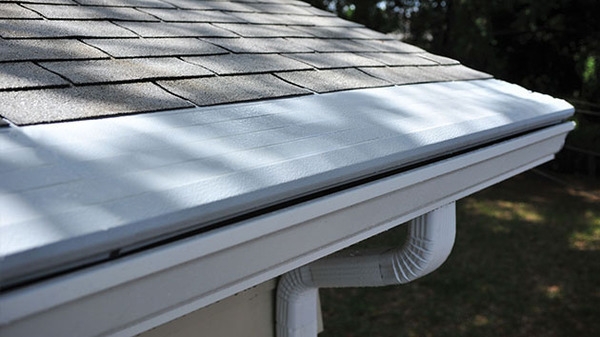 One type of protection that you can install is gutter covers and gutter heating. Your roof keeps the water out of your home, and your gutters keep the water from stopping and pooling on your roof. At Harry Helmet, we specialize in roof replacement and gutter replacement. We want to install a roof that you’re proud of—one that makes your home look good and one that lasts for many years to come. 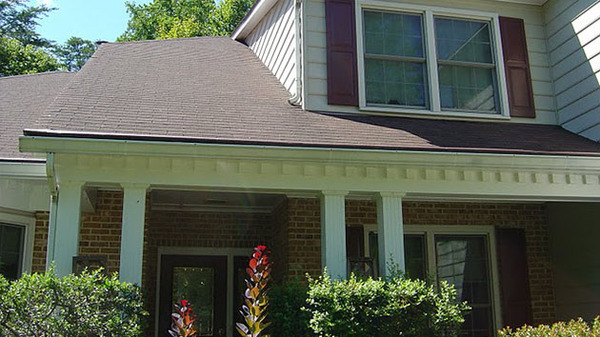 Talk with us about your roof replacement project: schedule a free estimate today.